Could LEGO Ninjago Movie Hit Theaters Before The LEGO Movie Sequel? 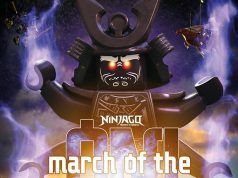 Home LEGO Ninjago Could LEGO Ninjago Movie Hit Theaters Before The LEGO Movie Sequel? Last year, we reported that a LEGO Ninjago movie by Warner Bros. will be heading to movie theaters. A few weeks ago, we also reported that the studio has already started working on a script for The LEGO Movie sequel. The Hollywood Reporter is reporting that the Warner Bros. will soon decide whether to do go ahead and do a sequel for The LEGO Movie as well as the Ninjago movie at the same time and if they do, they have to decide which one will come to theaters first. Dan Lin and Roy Lee, who helped produced The LEGO Movie, will join directors Phil Lord and Christopher Miller as the producers for Ninjago. Charlie Bean who directed Tron: Uprising on Disney XD will direct the Ninjago movie. Dan and Kevin Hageman, who wrote Ninjago: Masters of Spinjitzu for Cartoon Network, will also be involved in the new movie. Warner Bros. has rights to only one sequel for The LEGO Movie so The LEGO Group could go to another studio if they wanted to. By adding another film from the LEGO Universe, this will help establish a stronger bond between the companies. 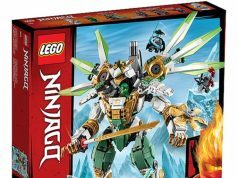 There are no details at this time of what the LEGO Ninjago movie will consist of but we can expect the same type of action/adventure style that the cartoon series has plus throw in the humor that the show provides. Although Ninjago is a theme focused mainly to younger males, Dan and Kevin note that 30% of Cartoon Network’s audience is female so there is potential that the new movie could cater to both demographics.